Popular Yoruba Actress Moji Olaiya Is Dead, RIP! 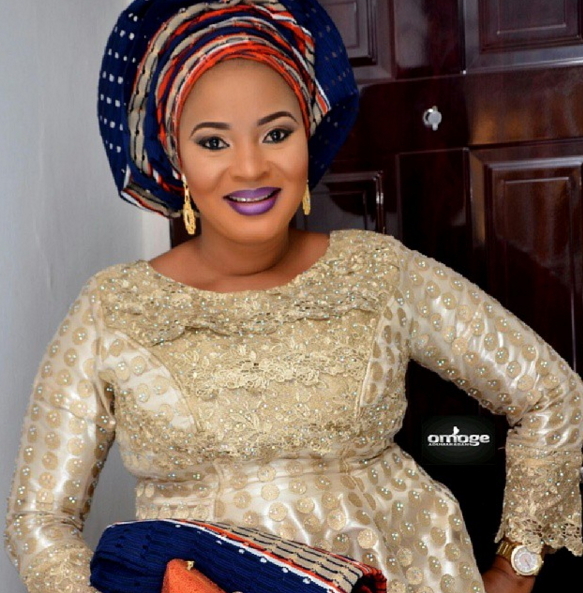 A shocking news reaching us indicates that popular Yoruba actress Moji Olaiya has passed away. The actress who welcomed a baby in March 2017, passed away in Canada at 42. Her death was confirmed by the founder of Best of Nollywood Awards, Seun Oloketuyi via IG. He wrote, "Breaking news @MojiOlaiya dies in Canada. Details soon." Popular actress and film maker, Moji Olaiya who came to limelight in Wale Adenuga's SuperStory TV Series was reported on Thursday morning. It was said that her cause of death could be linked to complications that arose from her child birth in March. She died in Canada. Sources say she died Of Cardiac Arrest. It is also possible that the beautiful actress would be buried in Canada where she passed on. Moji Olaiya welcomed her first child in the country after years of marriage. May her soul RIP! At all times give thanks! Below the actress' last post which she made yesterday, thanking God, her family, friends and fans. Her death is quite shocking. May her soul find eternal rest. The actress, who got married in 2007, is one of the children of veteran musician, Victor Olaiya.